With the oil price barely moving from its current $50 per barrel circa, it’s worth looking back at how the market panned out in 2016. The uptick in the wake of the ‘historic’ agreement saw crude prices bounce to where they currently are and no further. So taking the 12 months of 2016 as whole, Brent began the year at around $37.28, flirted briefly with sub-$30 prices and ended the year at $56.82; a gain of 52.4% between the first and last full trading Fridays of 2016. Concurrently, the West Texas Intermediate rose from $37.04 to $53.72; a gain of 45% between the first and last full trading Fridays of 2016. The Oilholic acknowledges that percentages are relative, but would be astonished if 2017 ends in similar gains. That’s all for the moment folks! 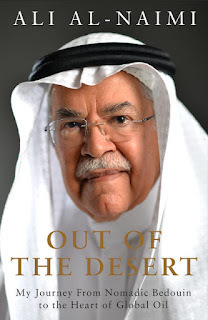 Keep reading, keep it ‘crude’! © Gaurav Sharma 2017. Graph: Oil benchmarks - Friday closes for 2016 © Gaurav Sharma.